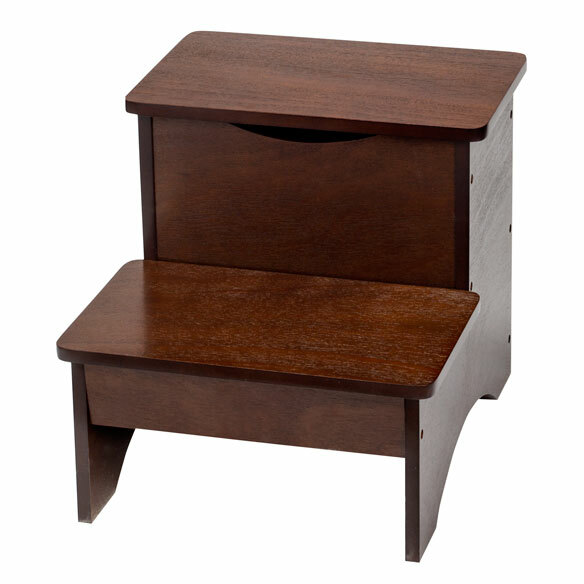 2-in-1 wooden step stool with storage by OakRidge™ provides a lift when you need it, beautifully blends in with other furnishings when you don't. Wooden craftsmanship adds confidence and stability to your step. Top step lifts open for discreet storage that's perfect for any room. 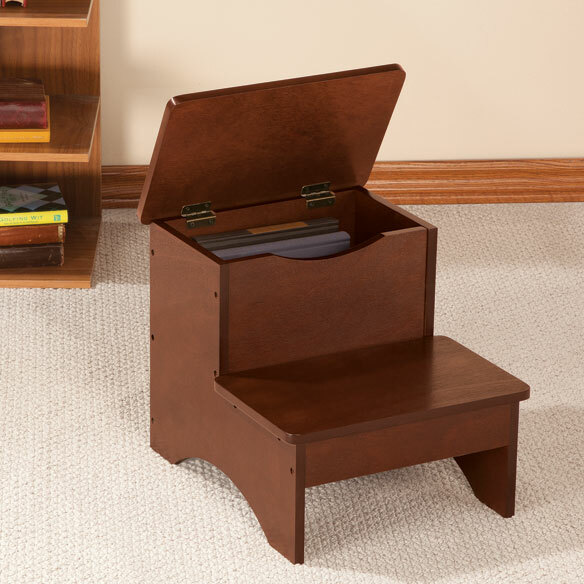 Wooden stool helps you safely reach kitchen cabinets, bookshelves, closet shelves and more. First step is 6 1/2" H, second step is 12 3/4" from floor. Step ladder stool measures 15"W x 12 3/4"D overall. I love the foot stool. It makes it easier for me to climb into my high antique bed. Took me an hour to put it together, but I didn't want to wait on anyone else to get home. It was not hard, but I am slow. I put the TV remote in the top "step" with the lid and no longer loose it during the night. The wood tone goes well with the bed and I love it! GREAT FOR HOME & CAMPER !!! How deep and wide is the storage compartment? Will it hold regular file folders or hanging file folders? BEST ANSWER: Thank you for your question. The storage compartment is 6" deep, 8" high and 11" wide. We hope this information will be of help to you.